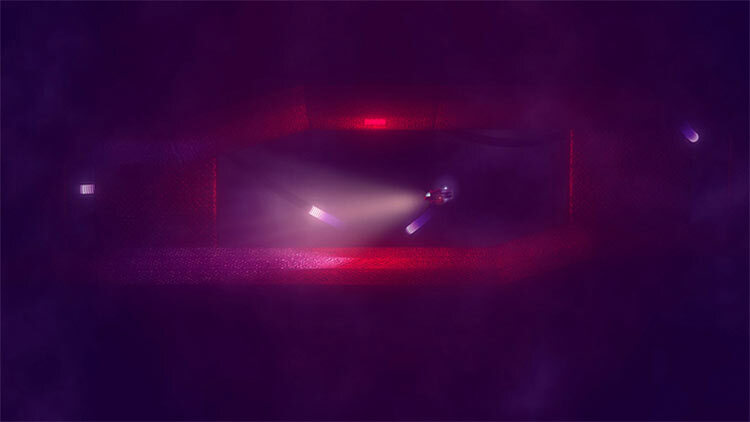 Affordable Space Adventures is a stealth puzzle spaceship simulator. Control your craft solo or in a crew of up to three players. The Wii U GamePad™ is your Heads Down Display and gives you precise control over all the internal systems of the ship. Tweak the thrusters, antigravity, stabilizer and many more systems in order to successfully navigate a hostile planet and sneak past alien robots. 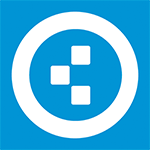 Explosions, engine shutdowns, blown fuses and implosions may occur. In co-op mode, players must coordinate as a crew controlling the spaceship together; one will take the role of engineer, while another will be the pilot. A science officer can join the fun as well. Affordable Space Adventures truly takes advantage of the uniqueness of the Wii U, and it is all the better for it. Few games have felt this distinct, while also remaining fun and enjoyable. The campaign doesn’t last too long, but what time you can spend in it will truly satisfy, and if you bring some friends along it only gets better. If you own a Wii U and have been starving for new games, then you owe it to yourself to pick up Affordable Space Adventures. Affordable Space Adventures is a great way to do precisely that, and it's especially welcome if you've been looking for a Wii U title that uses the hardware to offer a genuinely unique and reasonably substantial experience. Are you looking for a journey into the digital unknown that won't break the bank? If so, then is the one that you should embark upon. Affordable Space Adventures is an utterly unique Wii U title. 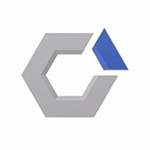 It embraces the console’s maligned tablet controller and utilizes it to great effect, a fact that is particularly apparent in its brilliant asymmetric multiplayer. 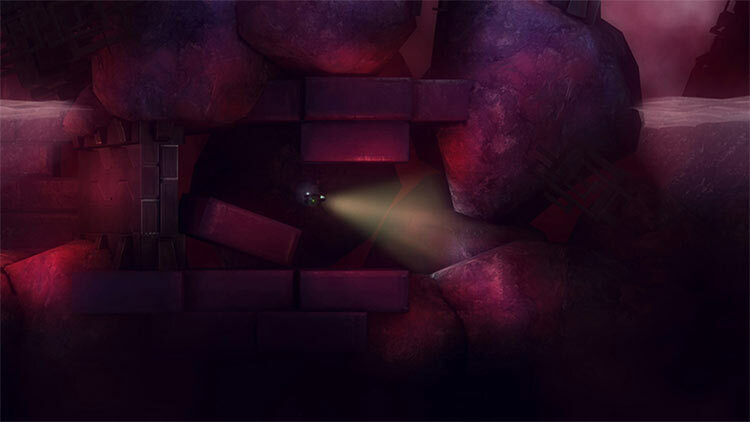 Those core concepts carry the game through its six hour campaign despite some frustratingly obtuse puzzles and occasionally inconsistent physics. Overall, Affordable Space Adventures is a journey well worth embarking on, especially with a few friends. Affordable Space Adventures is a brilliant ride from beginning to end. However, the game can understandably be overwhelming for the solo player and it can cause a lot of stress while playing through the game. Still, there’s just no denying that Affordable Space Adventures is, at the very least, a cleverly designed game that could only exist on the Wii U. It’s refreshing to see someone making good use of the hardware even as Nintendo seems content to let their innovative controller’s potential remain largely untapped. Though it can’t completely make up for its odd-duck status as a game that would’ve been better off omitting single-player entirely, the innovation of it all certainly eases the blow. With that being said, Affordable Space Adventures still is a fine puzzle game. 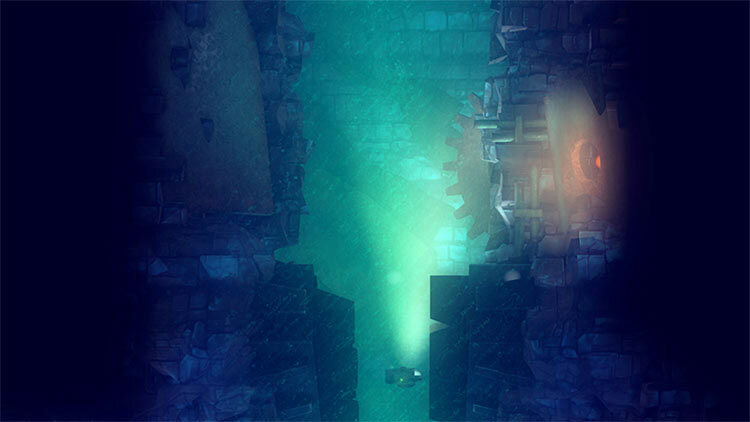 If general puzzles aren't your thing, this may be the type of puzzle game you're looking for. 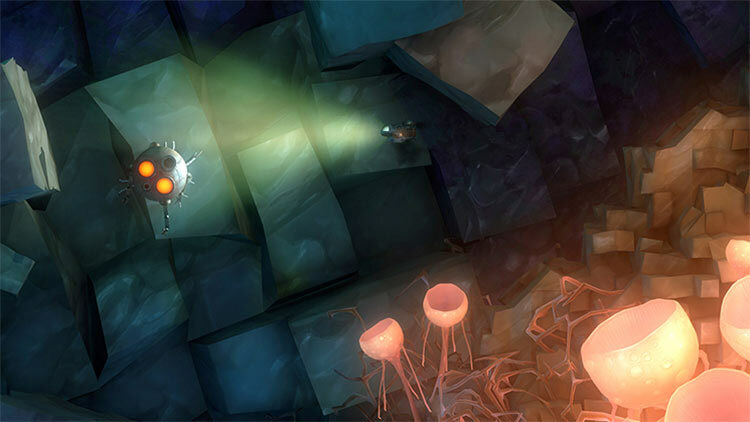 Affordable Space Adventures is a game that can only work on the Wii U. Its two-screen experience is exactly what the system was designed for and the result is a unique breath of fresh air that might actually force player to hold that breath in certain situations. The multiplayer doesn't pan out too well and there were some physics glitches, but this is a game that Wii U owners need to get their hands on. The ending in particular does a great job showcasing the bizarre ineptitude of the company – and it uses the Wii U’s Miiverse in an awesome way that I won’t spoil. Affordable Space Adventures is a great puzzle game, and it uses the GamePad in interesting ways that don’t feel like gimmicks. It shows Nintendo isn’t the only studio capable of doing interesting things with an additional screen. It’s nice to see the Wii U become home to a truly exclusive title trying to do something different. Affordable Space Adventures is a rare beast – a Wii U title that makes integral and natural use of the Gamepad, whilst also offering a careful and considered local co-op option alongside a hugely enjoyable single player mode. It’s a game that you can become truly involved in – I laughed, I cheered, I shouted at the screen in frustration – all within this remarkable world. It’s a game that Wii U owners simply need to experience, and one which other developers need to take note of when creating software for Nintendo’s unique console. Affordable Space Adventures fails to deliver a world that demands to be explored; it is far too generic and lacking in fun puzzles, instead only producing too many a tedious moment. Patience is a virtue with this one. Affordable Space Adventures is an indie title with a $20 price tag, and that may make some would-be purchasers leery of the investment. I can say with full confidence that the price tag is not only justified, but might even be too low. Visualmente sorprendente, perfecto a nivel sonoro y sobre todo con muchas innovaciones a nivel jugable. Posiblemente, el juego que más me ha sorprendido en lo que va de año, y una demostración que tenemos que seguir este estudio en los próximos tiempos. Muy recomendado se mire como se mire. Por sorpresa. Así es como nos ha cogido Affordable Space Adventures, una producción hecha en el norte de este continente con ayuda del instituto del Cine de Dinamarca que es capaz de mirar a las editoras de proyectos AAA y soltarles una lección de cómo aprovechar lo que Wii U puede brindar en términos de jugabilidad. Jugar solo es un desafío cuanto más avanzamos y más control tenemos sobre una nave que no por moverse sólo en 2D es de manejo sencillo; jugar con dos amigos más es una sesión de risas y buen cooperativo dividiendo las tareas. Y de hecho el multi en Coop es lo único que brinda el revisitar los niveles, ya que la experiencia, una vez sabemos cómo superar cada desafío, no se presta a ello. Pocos títulos han aparecido en Wii U capaces de hacernos sentir las mismas sensaciones y experiencia de juego que transmite esta obra de Nifflas y Knapnok Games. Se trata de una aventura excepcionalmente recreada y diseñada con un gusto apreciable y excelente, convirtiéndose en una de las razones más recomendables para los usuarios de esta consola. Creemos que la forma en la que se ha empleado el GamePad va a dar mucho que hablar, sobre todo en el seno de la propia Nintendo. Y, tranquilos, que pese a su oscura y cautivadora ambientación, el juego también tiene hueco para el humor, ya sea a través de los tiempos de carga que hay entre cada nivel o incluso con algunos vídeos que desvelan algunos secretos de Uxplore, la ficticia empresa que fleta las naves para la exploración del espacio y que, asegura, no tener ningún accidente desde 1993. ...Un título, en definitiva, que no debería faltar en tu colección si tienes una Wii U y buscas un juego que exprima todo lo que ofrece. Affordable Space Adventures es una gran experiencia en Wii U, y un juego que hace un uso muy reseñable del mando de la consola, con todo lo que aporta tener una pantalla táctil, y a la vez un juego que no es nada corto, sobre todo si se juega en compañía, aspecto que creemos resulta el más interesante. ...Affordable Space Adventures es un juego que aprovecha el mando de Wii U al máximo y a la vez ofrece una experiencia muy divertida y completa para los amantes de las aventuras espaciales. Der lokale Koop ist ebenfalls gelungen, da sich Steuerfunktionen wie bei einer echten Crew aufteilen lassen. Schade, dass man nicht auch online zusammenarbeiten darf. Außerdem wirken die Story und einige Kulissen etwas trist. Davon abgesehen steckt aber ein faszinierender Mix aus Puzzles und Geschicklichkeit im Spiel, der das Gamepad so gut ausnutzt wie kaum ein anderer Titel! Affordable Space Adventures est l'un des rares jeux à exploiter parfaitement les diverses fonctionnalités de la Wii U et à embrasser pleinement l'esprit de la console en réunissant plusieurs joueurs dans une expérience coopérative et asymétrique. ...Quelle que soit la taille de l'équipage, on se souviendra d'Affordable Space Adventures comme d'un titre atypique et intelligent, parfois drôle, parfois émouvant, et soigné dans ses moindres détails. En dépit de sa réalisation technique modeste et d'une ou deux broutilles un peu agaçantes, Affordable Space Adventures offre un beau voyage en terre inconnue, parfaitement calibré pour son unique console d'accueil, jusque dans l'intégration des fonctionnalités du Miiverse. Le titre de Knapnok et Nifflas rappelle que des moyens limités ne sont pas obligatoirement un obstacle à la créativité, notamment lorsqu'il s'agit de mettre à profit les capacités asymétriques de la Wii U. 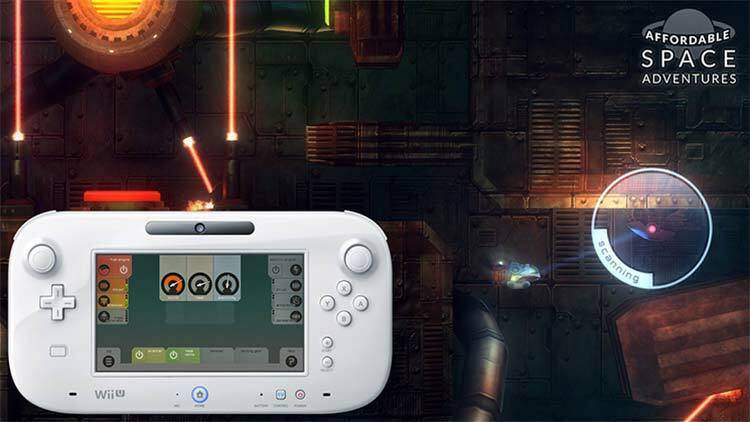 Affordable Space Adventures apresenta um conceito interactivo que faz uma utilização exemplar daquilo que se espera da Wii U. Sente-se que cada passo é importante e o jogador respeita a nave como se de um veículo real se tratasse. A solo pode ser frustrante por vezes e o ritmo torna-se visivelmente mais lento, já em multijogador ganha mais força mas não será a experiência mais convidativa para jogar com todo o tipo de amigos. 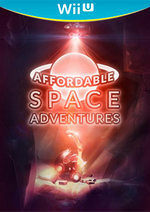 Affordable Space Adventures è un prodotto di grande rilievo all'interno dell'offerta di Wii U ...Una certa brevità e la ottima ma non straordinariamente brillante qualità del level design riducono leggermente la valutazione complessiva, che comunque delinea i contorni di un titolo che merita di essere preso in piena considerazione pur a fronte di un prezzo sopra agli standard dell'eShop. Un affascinante videogioco “spaziale” incentrato più sulla risoluzione degli enigmi che sull’esplorazione, sviluppato in maniera intelligente e fantasiosa. E che, inoltre, sfrutta in maniera curiosa e intelligente il GamePad. Consigliatissimo, anche se è breve e per nulla rigiocabile. ...caratterizzato da un’atmosfera particolare e da un grande uso del GamePad. Vill man ha ett prisvärt pusselspel till sitt Wii U som bevisar att gamepaden går att använda till annat än ploj och kartor så är Affordable Space Adventures ett solklart alternativ. Med vackra miljöer och nervkittlande skrymslen vill man bara ta sig vidare!